James is the Managing Partner in the Workers’ Compensation Practice Group. His practice focuses on the defense of employers and insurers in workers’ compensation matters before the R.I. Workers’ Compensation Court, the Massachusetts Department of Industrial Accidents and the U.S. Department of Labor for claims brought under the Long Shore and Harbor Workers’ Compensation Act. He has tried and defended hundreds of case involving work-place injuries including traumatic injuries, occupational disease claims, apportionment petitions and petitions seeking dependency death benefits. In addition, he has represented the employer in the seminal case which defined the extent of the court’s jurisdiction to resolve competing coverage claims between insurers of the same employer in multiple jurisdictions. Practice and Procedure Before the Workers’ Compensation Court: Employer’s Perspective. Moreover, in a recent television program he addressed how changes to the worker’s compensation system have held up exceptionally well during the intervening years. A portion of that interview can be seen here. James joined the firm in 1985. A year later, he continued a family tradition of military service and accepted a reserve commission with the U.S. Army Judge Advocate General’s Corps. He served on active duty until 1989 and attended the U.S. Army Judge Advocate General’s School as well as the US Army Command and General Staff College. 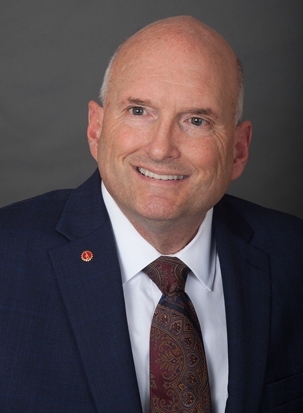 He rejoined the firm in 1989 concentrating his practice in Workers’ Compensation law and has been the Managing Partner of the Workers’ Compensation Practice Group since 2000. After his active duty tour, James served in the RI Army National Guard, retiring as a Colonel and State Judge Advocate. Co-Author of Practice and Procedure Before the Workers’ Compensation Court: Employer’s Perspective. See description. Co-Author of Returning injured employees to the workplace for the Rhode Island Lawyers Weekly. See complete article.